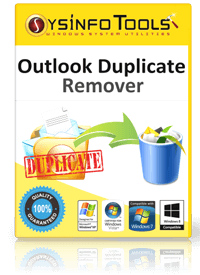 SysInfoTools Outlook Duplicates Removal Software is a software that remove duplicates email and content and help to minimize PST file size spport MS Outlook version. Work for Outlook Duplicate Remover Software? Learning about Outlook Duplicate Remover Software? "Time saving and easy to use"
How fast it removes the duplicates and being able to create a new folder to put the items in. They could simplify the process a bit with a few less clicks to get where you need to go in the software. Also the price is still a little high. Duplicate contacts and emails mostly. "Definitely glad I chose to use Outlook Duplicate Remover Software "
Saves me time from having to manually merge or delete duplicates. When I took the new position, I merged my old contacts and this software was able to delete duplicates for me. I have no dislikes for this software. It is everything I hoped it was. Like I said before, taking on my new position, i merged my old contacts and it duplicated the ones i had already. * We monitor all Outlook Duplicate Remover Software reviews to prevent fraudulent reviews and keep review quality high. We do not post reviews by company employees or direct competitors. Validated reviews require the user to submit a screenshot of the product containing their user ID, in order to verify a user is an actual user of the product. Hi there! Are you looking to implement a solution like Outlook Duplicate Remover Software?